Sri Lanka’s shipping and freight market is all corrupt to its core, said Sean Van Dort, Sri Lanka Shippers’ Council Immediate Past Chairman. 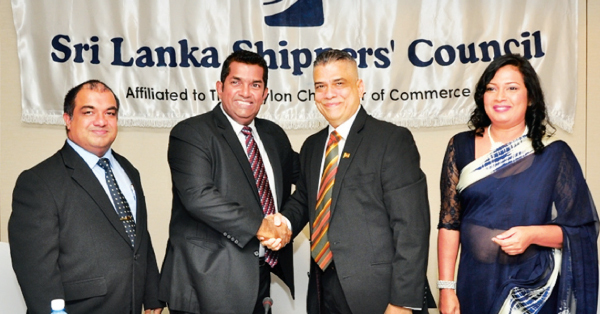 Managing Directors to Shipping executives were robbing from their own companies by way of kickbacks, he said speaking at the Post Business Session of the 47th Annual General Meeting of Sri Lanka Shippers’ Council held in Colombo last week. “It’s seems only a handful of service providers really go out to canvas business on service and quality in its deliveries. We were also promised a single window to carry out day to day work for the last 25 odd years, but seems like it’s gone through the back. All the discussions are mere talk shops,” he said adding that the government needs to expedite the process to make it a reality, as it will bring down transaction cost, give competitive advantages and speed to promote their products. He further noted that the council was involved with the Sri Lanka customs in establishing the Export facilitation centre and agreed to pay more charges to the government for the sake of speed and time. “However, I’m aware that until recently, there was a great pressure from the Ministry of Finance to the Customs to provide a negative report so that this centre could be scrapped and some vested interest could benefit from such a operation. Given the changes that have now taken place all seems good,” he said. Commenting on e-documentation initiative, he stressed that the commitment of government is required to make it possible by the end of this year. To this end, draconian laws of the Customs ordinance, the Ports Authority Act must be looked at strongly with willingness to change. Moreover, Van Dort also claimed that Sri Lanka may be one of the only countries who implements tariffs on its exports. Sri Lanka’s struggling tea industry is charged by the authorities Rs. 4 per Kg and Rs.10 per Kg on bulk shipment as CESS. He urged the government to look into this and bring about a solution to such actions.